As I was a child I was born with a light medium complexion which was not sufficient to put an end to my fascination with fair skin only to realize later that beautiful flawless skin is far better and attractive than a white complexion with uneven skin. Dusky is beautiful too but sadly in India, majority of people will take longer to accept and realize this fact.You cannot really change your original skin color but you can still improve your complexion by making it a shade or two lighter. Yes, you heard it right!! 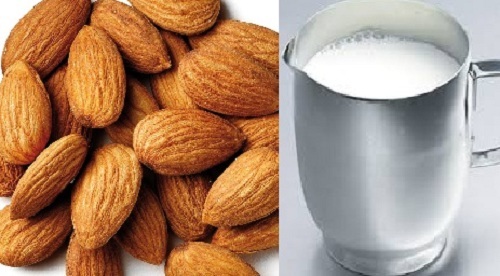 Almond and Milk face pack: Soak 2-3 Almond for at least 10 hours. Grind them and make a paste with water. Keep the consistency medium else it will be a mess. You will see that the paste is granular which is fine. Use the paste to gently massage your face and also neck. Then leaves it on the skin for 15-20 minutes. Rinse off with plain water. This can be done twice a week and on other days you can do the other remedies. Almond are known to improve skin tone and texture so does the lactic acid present in the milk. Almond and milk face pack can do wonders for enhancing your complexion! Gram Flour and Lemon: This would be the most popular and effective remedies that I have ever come across. All you have to do is, take 2 teaspoonful of gram flour and mix it with Rose water if you have oily skin or milk for dry to normal skin. Put few drops of fresh lime juice. (if you are allergic then skip this) and a pinch of turmeric. Make a paste of medium consistency so that it can be evenly and easily spread all over the face and the contours of the nose. Apply it evenly and let it be for 20 minutes or when it dries completely. You may do this daily or with other packs or remedies. It is not only known to brighten the skin complexion but also has the potential ingredients to get rid of dark patches and marks. Turmeric being the anti bacterial and skin brightener and lemon is a well known natural bleaching agent. Sandalwood: If you have sandal wood than grind it and make a paste with milk or water as per your choice. Apply the paste on the face and the neck till it dries completely rinse with plain water. 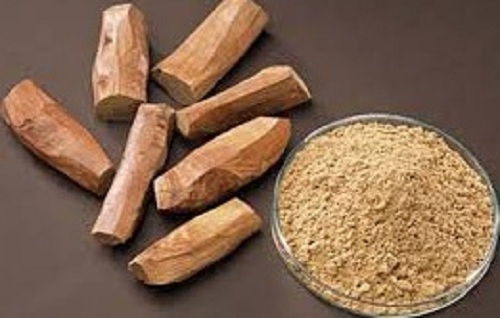 Sandalwood is available in the market. I will suggest to do sandalwood facepack every day as it brings a glow to the face, soothes skin and brighten ups. There are few more which I will share in the separate post. You can either do them once a week or twice but for faster and effective results, thrice a week or daily is suggested. Along with this try to drink lots of water and include at least one portion of fresh fruits and green leafy vegetable. 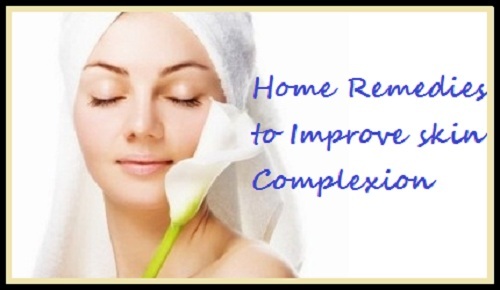 I am sure soon it will not only improve your skin complexion but would also greatly improve the skin texture. You can read some face packs to lighten the complexion here on my new site Tips and Beauty. Almond and milk adds a glow and brightens. I did that a couple of days ago. Really simple and awesome packs these are. Thanks for sharing :) I have been using the gram flour and turmeric one since childhood, with a couple more ingredients. And I agree that Sandalwood paste does do wonders to skin. Would love to try the almond one. Very nice and original post, dear! It's alaways interesting to read about DIY recipes! I have a very light pale complexion and every flaw is so visible. And I look sick without make up! I hope these packs would be helpful for you!! Yes, you may since both the ingredients are gentle.